Boaz & Ruth - The paternal great-grandparents of King David. 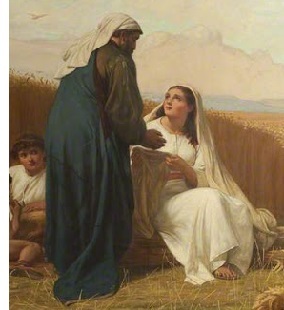 Their story is recorded in the Book of Ruth, and they lived during the time of the Judges (possibly in Gideon's time, though this is not certain). Ruth was a Moabite woman who came to Israel with her mother-in-law, Naomi, after her first husband, Naomi's son, died. In Israel, Ruth met Boaz and they were married.